After the week I’ve had I really needed some time in my craft room to re-set my mind and refocus on what’s important. I’ve been watching a bit of the Winter Olympics on TV and seeing everyone all rugged up and cold is so far from the weather we have been experiencing of late that I went with a summer sporty theme for my SOS card to match the Aussie weather. The surfer and sentiment are from a Stampin Up digital set which I printed over a sponged card base using my distress oxide inks. I spritzed some water droplets to give the effect of waves and cut the sentiment banner on an angle to match the direction of the wave. This next card is for the CASology challenge and uses a stamp that I hadn’t used in a long time. It is the Stampin Up Swallowtail stamp which I heat embossed and then used my Brushos to colour. 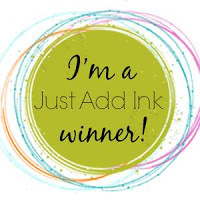 The sentiment is from the “Watercolor Wings” Stampin Up set. I love the vibrancy of this card and will be giving it to my mother to remind her of how special she is to me and how I cherish every moment I have with her. Lastly is my card for the February Gerda Steiner challenge using her adorable bunnies digital image. These I coloured with my Stampin Up Blends. I created the background using a MFT stencil ‘sunrays’ and Distress Inks in squeezed lemon, scattered straw, mustard seed and wild honey. The sentiment is from Concord & 9th “Say hello”. Thanks for looking and my mind is now in a better place. Holy smokes, that is some real mojo! Yes, you were definitely having some craft therapy! All of these are beautiful, but I am especially enthralled with the surfer and the butterfly for your mom. Awesomely beautiful. Hope you are enjoying that Aussie weather as we in the Northerm Hem are still freezin’! Thank you for playing at SOS. Awesome Tristan. Isn’t it great how a bit of crafting can be so theraputic. I got quite a bit done this weekend as well…. Sending good thoughts and prayers for your Mum and all of your family. So many gorgeous cards. Love them all. Thanks so much for playing along at CASology this week. Love the rainbow splash of color on the first butterfly card! Thanks for sharing with us at CASology this week! Wow, Tristan, what a fantastic bit of creativity. These cards are lovely! I especially love the stunning white, red and black card you’ve entered in our challenge. Those bits and pieces of black and white patterned paper provide just the right background for that gorgeous butterfly. What a lovely bit of colouring! This is clean and simple with a real impact! Thanks so much for joining our Watercooler Wednesday Challenge this week. Craft therapy is the BEST isn’t it?? Thanks for getting sporty with the crew from SHOPPING OUR STASH this week!! What a wonderful vibrant butterfly! Love the red one on the black background too. So happy you could join in the fun at CASology this week. Truly awesome cards, your surfer one is really cool, love the colors of the water, looks amazing. And I agree, getting crafty is the best therapy!!! The colourful butterfly perched on top of the blue & white background is a wonderful combo! Thanks for joining us at Watercooler Wednesday. Oh my goodness, I love each and everyone of your cards! The butterfly card you created for our WWC challenge is simple yet elegant and feminine. I love the paper blend and the pop of colour for the butterfly. Thanks so much for joining us at the Watercooler Wednesday “Feminine Anything Goes” challenge this week Tristan and inspiring us. Next Next post: Happy Pig Day!